I finally finished 3 pieces for the swap n hop. Thank you all for being so patient. 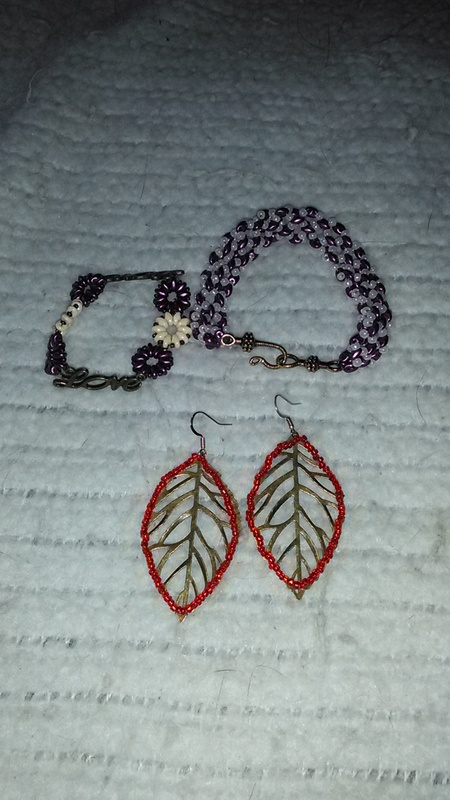 I made two bracelets and a pair of earrings. I’m sorry about the crappy pictures. My partner Heather Richter sent me the most beautiful pieces to work with. I hopped over and look at all the reveals for this swap and let me tell you there are so many beautiful pieces. You are all talented people. 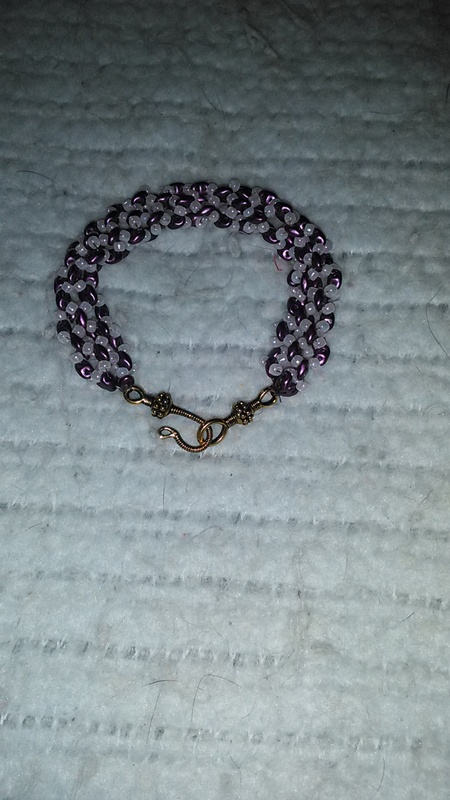 I am so happy that Heather used the clasp I sent her as a focal it looks amazing. 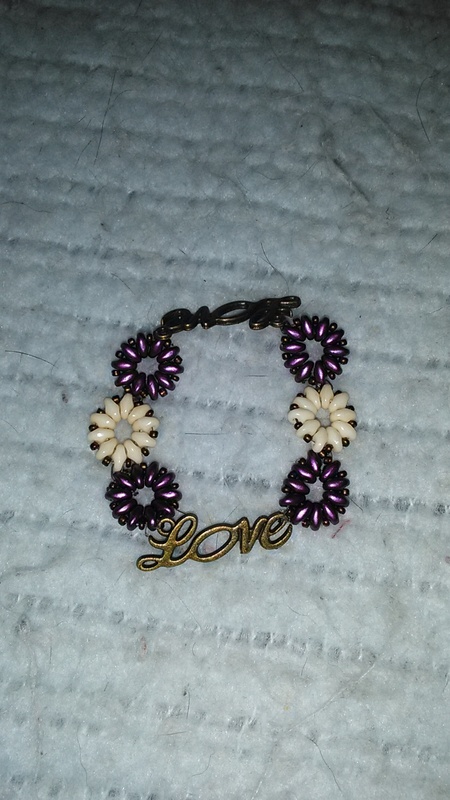 Love your bracelets and earrings, I especially like the bead flowers with the Love focal. What kind of stitch did you use? I like that you stuck with the back and white on the bracelets, but the red on the earrings just makes them pop!!! 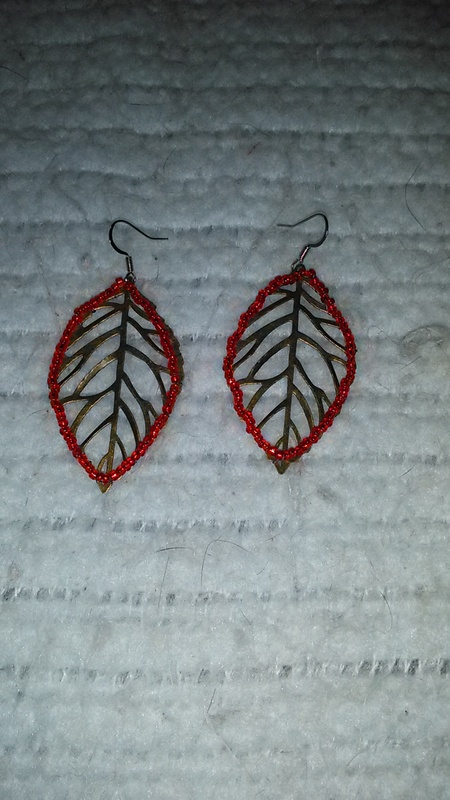 I love the idea of a bead rim around the leaf dangles, cool! And I just confessed on your partner’s blog that I’d like to learn seed beading just to be able to make beaded beads and ropes, they look gorgeous! Love the bracelets. And A clever idea of the beads around the leaves. What a nice addition to those leaves. Hi Sheila thank you for stopping by and yes Catherine is amazing I was intimidated by her work as well I only hope I will send her the right material to work with. Thank you for the comment about the earrings I love how they turned out.